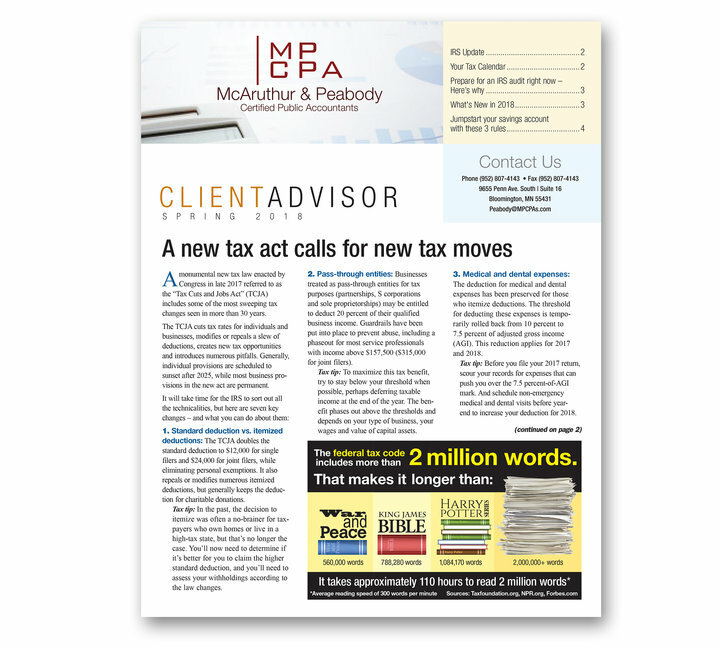 Finally, an impactful client newsletter that focuses on your firm while promoting your services and value to ALL your clients, not just the ones interested in tax topics. 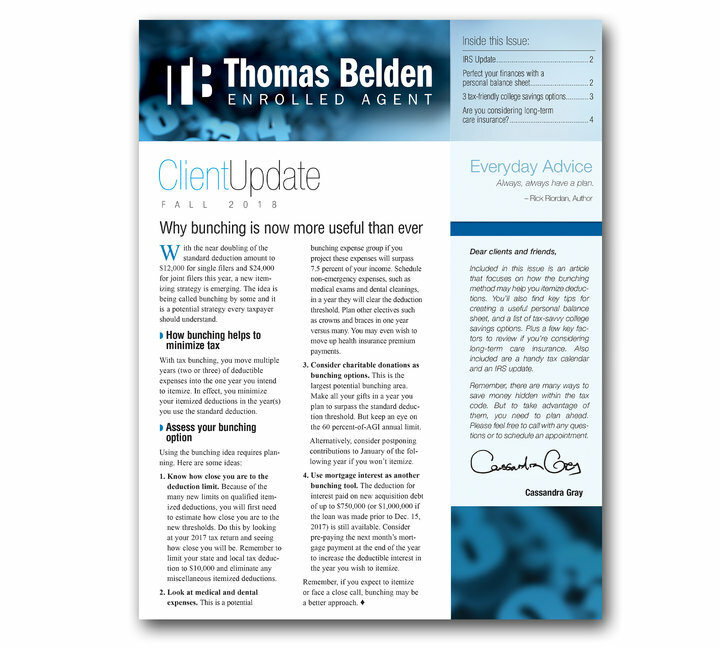 This marketing vehicle is great for prospecting because the visually engaging newsletter gets read by everyone. Plus our exclusive, fully customizable masthead allows you to name the newsletter and adjust the main page. 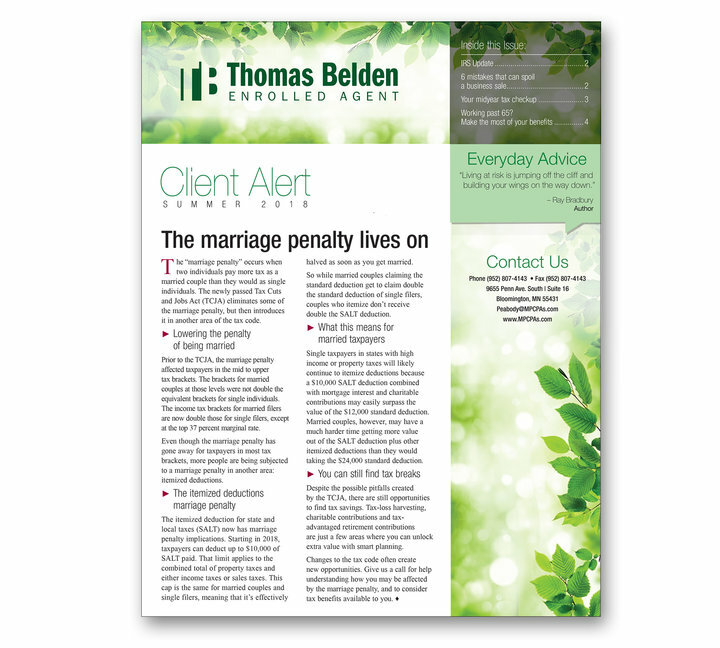 Call it Client Update, The Planner, Client Alert or The Advisor...or come up with your own name! 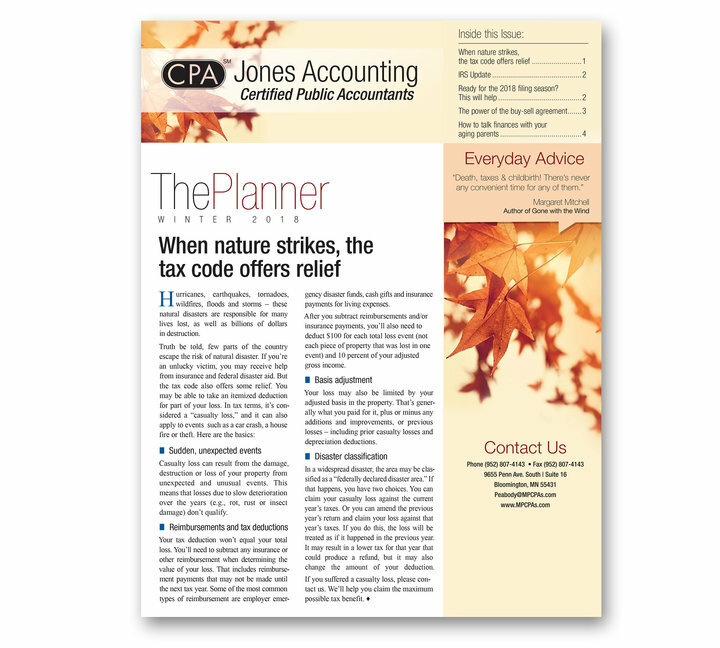 Retain and build your client base all year long! 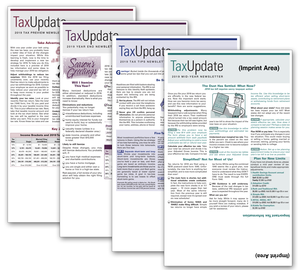 Content: Brief, yet engaging articles on tax, small business, money matters and other articles of interest professionally written and reviewed. 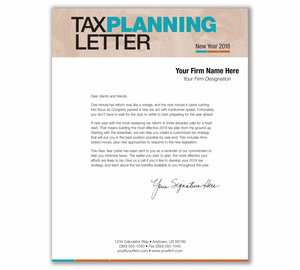 Customization: All newsletters include FREE imprinting of your firm information. 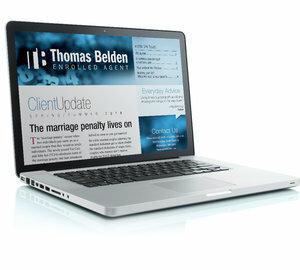 The firm-based focus allows you to design the main page, including color and layout options. 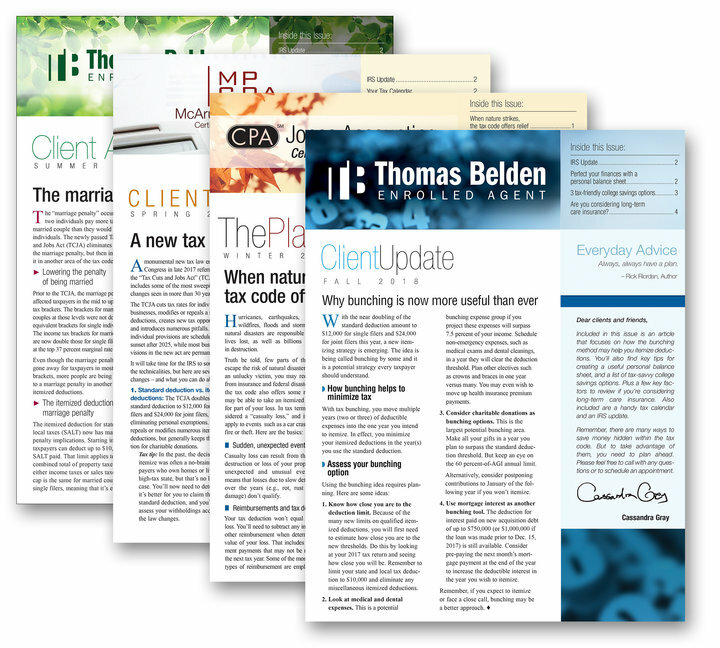 Full Year Coverage: Your subscription includes four issues published in March, June, September, and December. All with one low shipping charge. 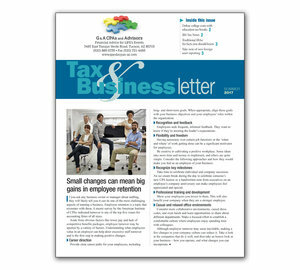 Layout flexibility: ships tri-folded as 8 1/2 x 3 2/3", 4 page, 4 color layout. If you desire 8 1/2 x 11 fold, please note FLAT on your order. 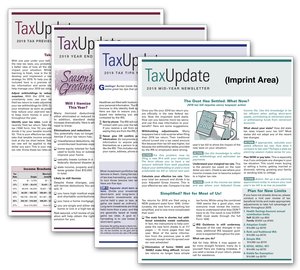 Get your newsletter in the format you use. FREE address service: We can pre-address your newsletters for no charge: Simply note PRE-ADDRESS and we will contact you for your list information. Now you can eliminate the time and cost of labels.